This entry was posted on 7 octubre, 2016, in Calls/Convocatorias. Bookmark the permalink. Los trabajos serán sometidos a revisión por pares ciegos y deben cumplir con las normas habituales de la calidad para publicaciones internacionales. La fecha límite para la recepción de trabajos es: 30/11/2018. 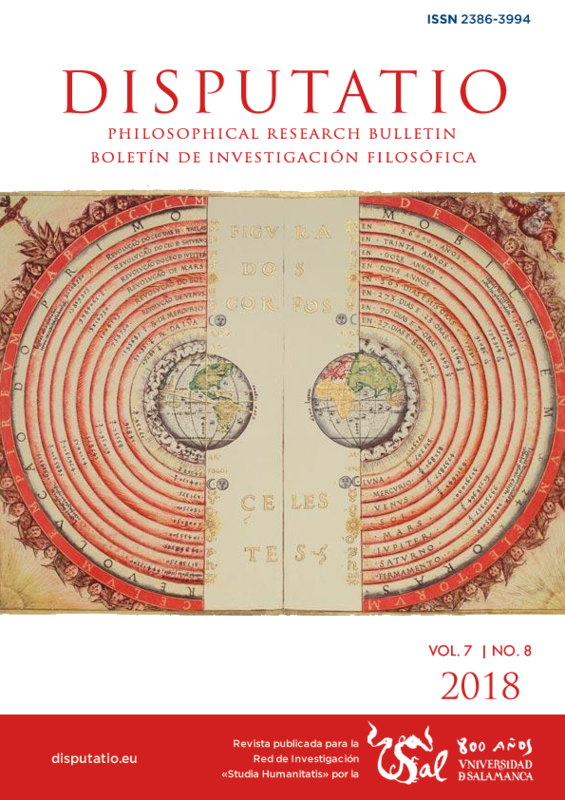 Call for papers covering the following topics: Ancient & Medieval Philosophy, Humanism, Spanish Philosophy and Theoretical Philosophy (Metaphysics, Epistemology, Ontology, Philosophy of Science, Philosophy of Language, Philosophy of Logic & Philosophy of Mind). Submissions will be subject to blind peer review and must meet the usual standards of quality for international Publications. Deadline for the receipt of submissions: 30/11/2018. Many thanks for your interest in our journal.